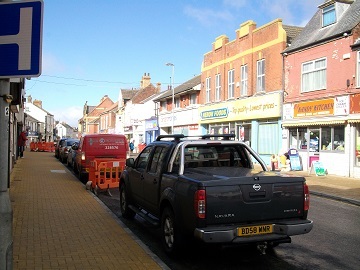 ‘The Street’ Typical High Street? 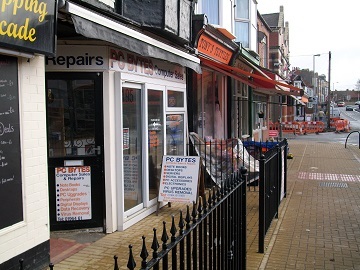 What makes up a high street? I think it is normally made up of a number of different factors and places. These include shops, banks, bakeries, charity shops, sandwich shops, paper shops, hairdressers and many more places, sometimes even accommodations, it’s a multipurpose area. 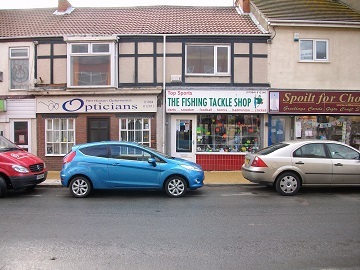 These shops are often independent businesses, especially in smaller towns rather than cities; this gives you a wide variety. It will normally be in a place that is easily accessible by the mass market; the most common place is town centers because they get the most foot traffic. 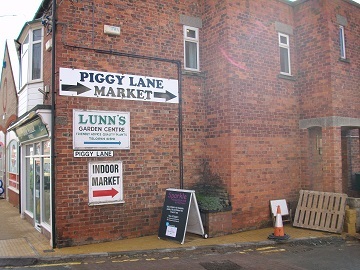 It wouldn’t be beneficial to have the high street on the edge of town or city because it would only get business from people who live close to it. 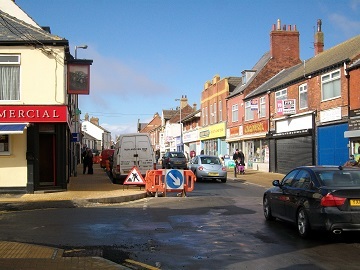 I went out to look at the Withernsea high street (Queen Street) which is the high street local to me. It is situated in the center of the town so it easily accessible for everyone and is also close to the promenade. 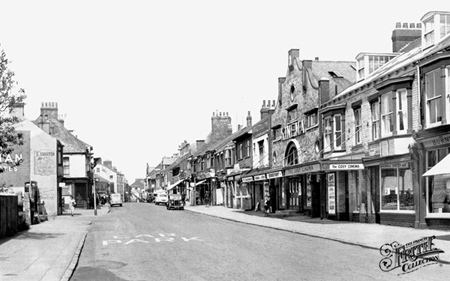 It is currently used by people who live in the town; I’d say it’s most popular for grocery shopping at Aldi, Banking at the numerous different banks and general little errands for example buying new curtains at the textiles store. 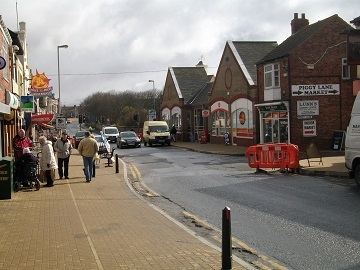 It is also used by a lot of high school kids because it is just up the road and they come down for dinner and use the bakeries, chip shops, takeaways and newsagents for drinks and sweets. During the night most of the high street will be closed, the betting shops will stay open till 10 and so will the takeaways, on weekends the takeaways will stay open late for the people who have been out in the pubs. 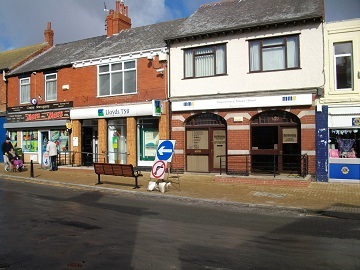 Over the recent years the high street has been getting more and more run down. There used to be a lot more people around, I think this is due to the Tesco’s opening at the other side of town taking business away from the area. A lot of businesses have closed down and reopened as something else as most small time businesses struggle, especially with the recession. 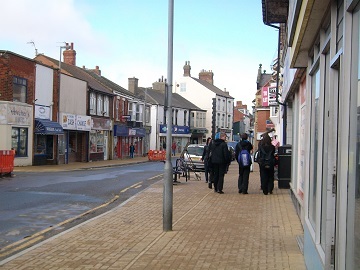 I can’t really see the high street changing too much in the years to come unless there is some heavy investment; to me it seems to be getting worse and worse. I believe this because a lot of the town’s income was from tourism and since holidays abroad have become relatively cheap there aren’t that many tourists anymore. 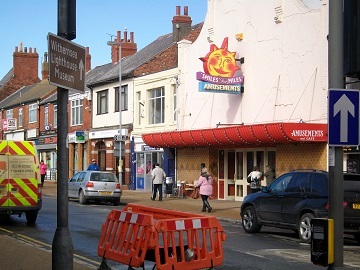 I think a quite interesting building of the street is the smiles for miles amusements (Teddys) it’s one of the bigger buildings on the street and competes with the full strip of amusements just around the corner. It looks very run down from the outside and has a lot of cracks in the walls with a paint job over it to try and make it look better, it seems to be a very old building. 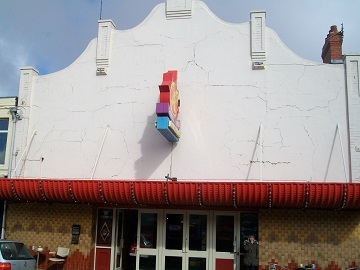 It’s multipurpose and has a café of the bottom floor near all the arcade machines, upstairs is a bar and snooker and darts hall, this is used on a night for snooker and darts leagues. Down the street itself for possible gameplay mechanics there are many alley ways and little side streets to go down which are used to get to different areas. One of the alley ways is between the Aldo and the post office and can easily be missed but it leads you to the car park so you have multiple ways to get there. 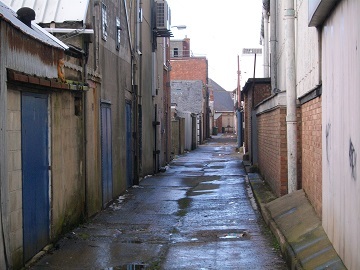 Behind the back of the high street is a long alleyway that goes behind all of the street, it has back exits, balconies and fire escapes for all of the places and reminds me a little of something you would see in Grand Theft Auto.